The Water Safety New Zealand board comprises eight passionate and highly skilled trustees. An interest in the outdoors, sport, recreation, water safety, education and health feature predominantly and supplements their business and governance experience. 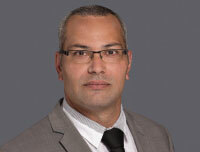 Danny is a senior solicitor with Whangarei law firm MWIS. He is a director, trustee and advisor to a wide range of clients on governance including corporate/commercial entities, local government, NGOs, Maori and family groups. Danny draws on his Maori, Fijian and Samoan heritage and links to Tokelauan communities to assist in the development of community relationships throughout New Zealand. Maori protocol and his immersion and fluency of Te Reo grounds and guides Danny in both his professional and personal life. Danny lives with his partner at Whangarei Heads with their four children who are all active in swimming clubs and water related activities. 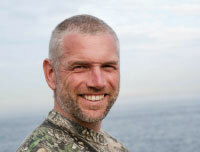 Matt is a senior lecturer, stream leader – outdoors, at AUT, Auckland. With a passion for the outdoors, Matt’s research and teaching includes whitewater and river rescue, education, recreation and the outdoors. Matt has served as an elected member of the White Water NZ board, is on the editorial board of the New Zealand Journal of Outdoor Education, the board of directors for the New Zealand Outdoor Instructor Association and is a member and serves on the white water technical advisory group for the NZQA TRoQ. Dr Matt Barker, PhD BEd Hons. Michael has a rich background and active experience across many facets of water safety and within the sector. These include Surf Life Saving New Zealand, swimming, kayaking, canoe, multisport and the Drowning Prevention Commission of the International Life Saving Federation. MIchael brings together commercial and local and regional government experience which supports the collective impact model Water Safety New Zealand works within in bringing sector partners together. Maurice is an experienced advisor and director to a number of public and private companies. Maurice has a finance and investment background with extensive governance experience. He has held senior positions in New Zealand and international organisations. As well as Paper Plus', his current directorships include Molemap New Zealand Limited (chair), Image Centre Limited (chair), Fairview Group Limited (chair) and Quix New Zealand Limited. He is a member of the Institute of Chartered Accountants of Australia and New Zealand and a Chartered Member of the New Zealand Institute of Directors. 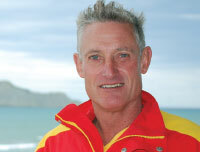 Dean is the CEO of the Spirit of Adventure Trust and has been involved in Coastguard New Zealand for over 30 years. 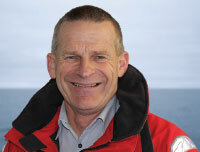 He is on the board of the International Marine Rescue Federation and past president of Coastguard New Zealand. Dean is heavily involved with his community as a volunteer at the Surf Life Saving Kariaotahi Club and Waiuku Coastguard. Dean combines his passion for sea rescue with education, especially focused on youth development and those young people who are at risk and don’t get the opportunities to experience the joys of aquatic activities in their everyday lives. Dean lives at Waiua Pa, Auckland. Swimming has always been Horst’s biggest passion and he has made it his life long career. 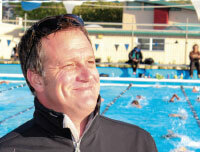 Horst is the director of Swimgym, leading the coaching. Swimgym is part of the Howick Pakuranga Swim Club. 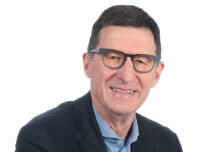 Horst has been the President of the NZ Coaches and Teachers association as well as a board member, an ex officio member of the Swimming NZ board. In 2012 Horst was recognized as a Gold Swimming NZ Coach and has been involved in delivering silver and bronze courses for Swimming NZ. Horst resides in Auckland with his wife and three children. He has a Masters in Social Science (Hons). Ian is currently working with New Zealand Rugby and New Zealand Cricket as Medical Director. He also works part-time as medical advisor for ACC on the Clinical Advisory Panel and is completing an MBA at Victoria University of Wellington. Ian trained as a medical practitioner at University of Auckland and did his fellowship training as a Sports Physician. He has practiced at Wakefield Sports Medicine and has a strong professional understanding of injury prevention strategies. Ian enjoys living and working in heartland New Zealand – Whanganui, with his wife and four children. Sport and fitness play an important role with the family and Ian keeps busy as a keen hockey player. 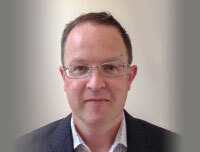 Dr Ian Murphy MBChB, MMedSci, FACSEP. 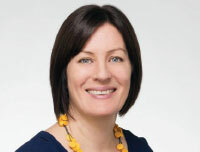 Kate is currently the Chief Operating Officer, Human Rights Commission. She has broad experience in a range of governance roles with a particular focus on change leadership, public policy/regulation and large scale service delivery. Kate is keenly aware of the need to influence water awareness and safety practices in NZ given the tragic fatality statistics and the significant impact this has on families throughout the country. She maintains an active interest personally in water sports - including as an open water swimmer competing each season and played water polo as a young adult. These experiences have shaped her views around supporting children into water sports and related activities at an early age to help build lifelong skills and confidence. Kate is a born and bred Wellingtonian who lives with her partner and their young daughter on the city’s rugged south coast. Original generation time 0.4196 seconds. Original generation time 1.1621 seconds. Cache Loaded in: 0.0007 seconds.